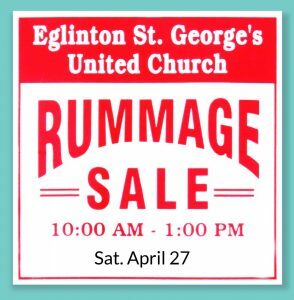 Our Spring Rummage Sale will be held on Saturday, April 27th from 10 am to 1 pm. Donations will be accepted after March 25th. Items we accept include jewellery, handbags, clothing, children’s toys, books, art, housewares, sporting goods and electronics!